The Hudson 99598 fogger is a cold or ULV fogger that uses air pressure to atomize fogging solution into small particles. 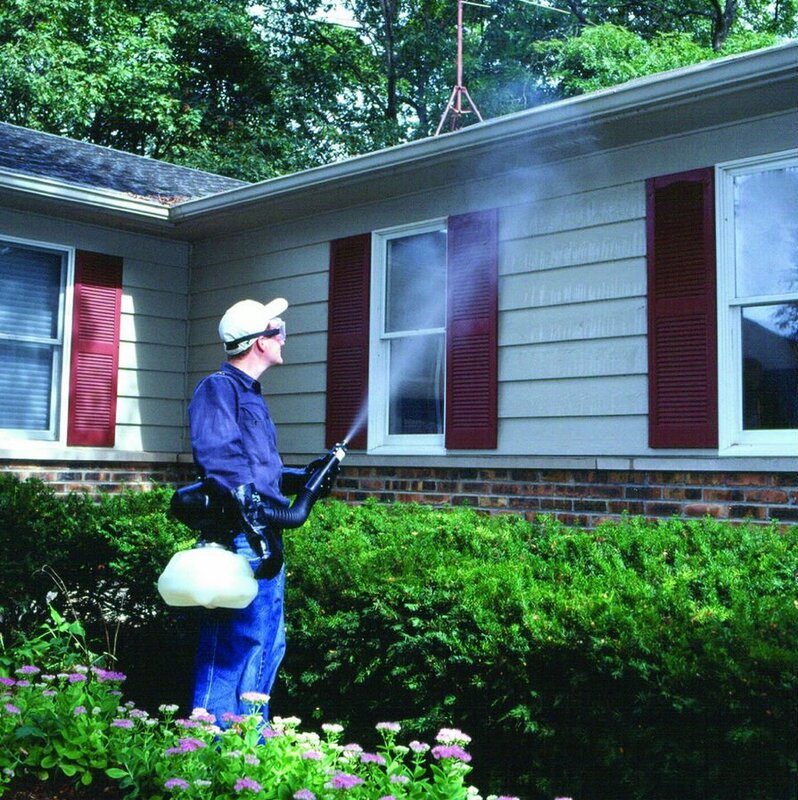 Fogger can be used for all sorts of fogging works, starting from misting plants with pesticides to using insecticides to get rid of a mosquito problem. The fogger is manufactured by Hudson, which produces variety of custom and professional spraying equipment. Hudson 99598 fogger is made from a durable and light plastic material. The fogger works with electricity and there is a cable with regular electric plug. For indoor fogging you can plug the fogger into an 110/120 volt electric outlet and for outdoor fogging you can use and extension cord. Inside of the fogger there is a motor that pumps the fogging liquid from the container and sprays it out trough the nozzle with a high pressurized air. The discharge rate of the fogger can be adjusted by turning the control nozzle at the end of the hose. The discharge rate of the Hudson 99598 fogger can be adjusted to fit different situations. The lowest amount of flow of this fogger is 1.5 gallons (5.6 l) an hour. To adjust the fogger for low amount of flow turn the leveler found on the body of the fogger fully clock wise. This will open the valve and allow to produce unpressurized fine mist. 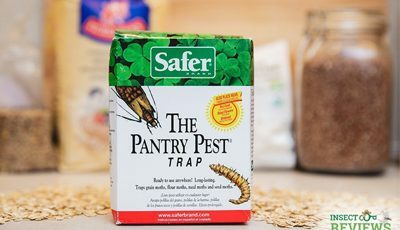 Particles produced are going to be smaller in size, which is suitable for controlling smaller insects such as mosquitoes. If you want a more heavy flow, increase the pressure of the flow by turning the leveler counter clock wise. When setting the leveler to heavy setting, the fogger will produce flow rate from 6 to 14 gallons (22-53 l) an hour. The spray produced by these settings is going to be much more wet, which is useful for surface spraying. The average particle size this fogger produces is from 22-46 microns. 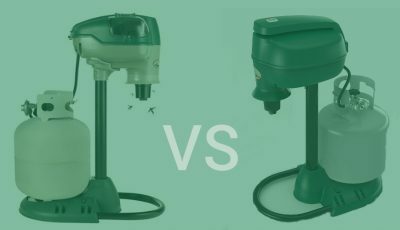 When using an insecticide for mosquito fogging, set the fogger to the lowest output settings to output smaller sized particles at 20 and less micron size. Hudson sprayer is equipped with a flex hose which is installed on the nozzle of the fogger. The flex hose helps the fogger to fog smaller and harder to reach areas. Flex hose can also be used to for more directional spraying, which is especially good for outdoor areas. This fogger comes with a large 2 gallon (7.5 liters) solution container. The container is made from a plastic material, so it is pretty light itself. However, when the container gets filled with a solution it gets a lot heavier, which is not good for the mounting clamp that attaches and holds the solution container to the fogger. This is the weakest part of this fogger and might get damaged after some time, if you regularly fill the container full with the solution. On top of the fogger there is a handle and it comes with a shoulder strap, so it is easier to carry the fogger around. You can use this fogger for different applications. 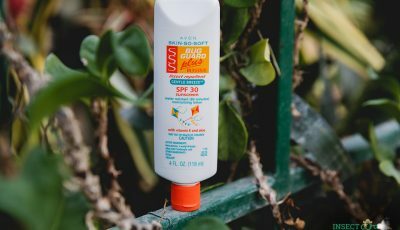 For example, you can fog your plants with a pesticide to protect them from bugs, or you can use it with an insecticide to terminate insects such as mosquitoes in your backyard. Depending on what you want to fog, you need to buy a proper fogging solution. The fogging solution needs to be filled in the container that attaches to the bottom of foggers body. Remember to position the fogger straight on the top of the container and secure it tightly with the metal clamp. Before plugging the fogger into an outlet make sure it is turned off. One thing that we found with this fogger is that if you fill the container full with a fogging solution it will get very heavy and can weight well over 20 pounds (9 kg), which is quite difficult to carry around if you need to fog a large area for over half an hour. Although the fogger comes with a shoulder strap it isn’t very comfortable either and we suggest putting the fogger on the ground and use the flex hose to fog around you, this way you can rest your shoulder from the heavy fogger. 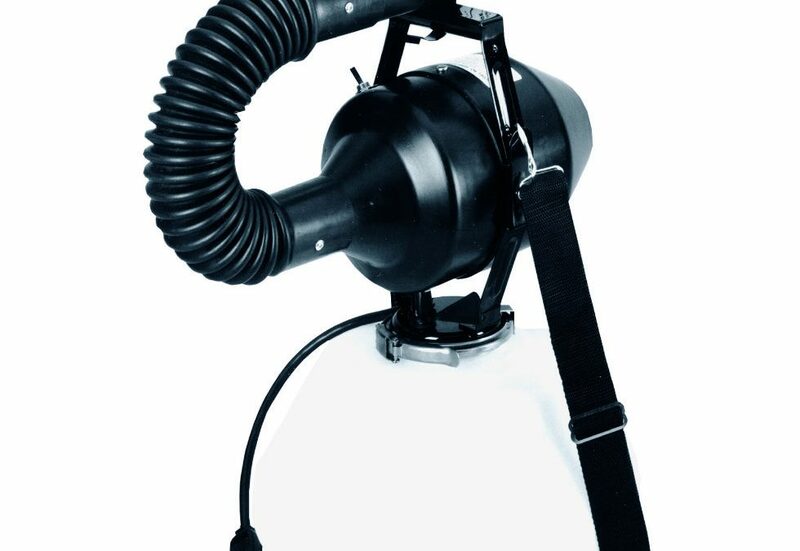 Hudson 99598 insect fogger comes in a 16x16x16 inch (40.6×40.6×40.6 cm) packaging and the fogger itself is approx. 11 pounds (5 kg) heavy with an empty container. The spray distance the fogger can reach is 13.5 feet (4.1 m). Hudson provides 90 day warranty for this fogger.